ISLAMABAD: On continuously highlighting the issues of sector G-14 by the Daily Times, the Islamabad Capital Territory (ICT) administration has finally decided to make public the list of affectees and the compensation amount to them by putting data on the website within 15 days. Besides, allottees of the plots in sector have also been taken into confidence and given assurance that they would be given access to all relevant documents and if any officer would create hurdle in giving information he would be sacked, Daily Times learnt on Wednesday. 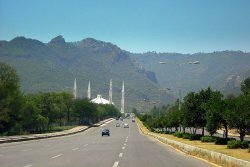 Encroachers will not be given a single penny from Build-up-Property (BUP) award and it can be suggested to depute Rangers to stop further encroachments and demolish the existing encroachments as federal police have been totally failed to ensure implementation of section 144, said the sources. As number of officers of Ministry of Housing, ICT administration and federal police, who are beneficiary of encroachments and eying on compensation amount, will create hurdle in implementation of these decisions, it is learnt. According to reliable sources, development of sector G-14 could not be started for last seven years due to which both affectees and allottees of sector G-14’s sub sector 1, 2 and 3 have been suffering. An officer of the Federal Government Employees Housing Foundation (FGEHF) requesting not to be named said that the sector was announced in 2002 and award of the sector was announced in 2004 and payment of the land was given to the affectees, but BUP award could not be announced. Later on in 2008 ICT administration handed over 2,400 kanals of land (which was 60 % of the total land) to FGEHF and it was decided that development of the sector would be started soon. Almost four years have been passed but development of the sector could not be started due to which people encroached on 400 kanals of land and at the moment FGEHF has hold on 2000 kanals of land. Still 2000 kanals of land has been taken into supervision since 1990 because in Kuri FGEHF has only 50 kanals of land in possession. Sources further said that a delegation of allottees headed by a retired additional secretary of Cabinet Division on Wednesday met with an officer of ICT administration and it was decided that Acquisition Branch of the ICT will be accountable to allottees and whatever is paid to the affectees will be made public and within 15 days names, identity card numbers and accounts of the affectees who are over 6,000 will be put on a website. After launch of the website the allottees will be able to get information in this regard through internet. There are some reservations of FGEHF in this regard and to sort out the issue a meeting of ICT administration and FGEHF will be held on Thursday (today). Allottees have said that they should know that where their amount was being spent and for that FGEHF should also be accountable. In meeting with the allottees it has been decided that there should be total transparency in the project and each and every document will be made available for the allottees and if any officer will make hurdle in giving information to allottees he will be sacked. An officer of ICT administration said a letter had been sent to Ministry of Finance that amount allocated for the Sector G-14 and other residential projects should be kept in National Bank of Pakistan and profit on that amount should be given to the allottees because they had paid the amount and waiting for possession of plots for so many years and still it is not clear that after how much time they will get the possession of the plots. So far Ministry of Finance has not given any reply, he said.